It must be difficult for Cuphead to have a cup for a head. We have so many questions about it. The idea really plagues our mind. Does he put anything inside of it? In the video game, it appears that he has milk inside his head. What if you put really, really hot coffee inside of it? Would it hurt or is it heat resistant or something? And then, what happens when it rains outside? Does Cuphead just not go outside for fear that his cup-shaped head fills up with water? Who uses that straw on the top? Whew! It’s just too much to think about right now! Of course, we can answer one important question. How awesome is the game, Cuphead? Very. 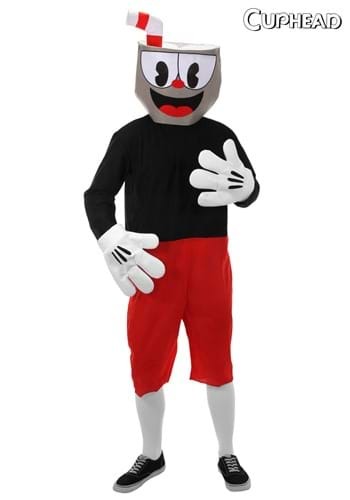 If you’re as much of a fan of the game as we are, then you may even want to dress up as Cuphead this year and that’s exactly what this adult costume is for. 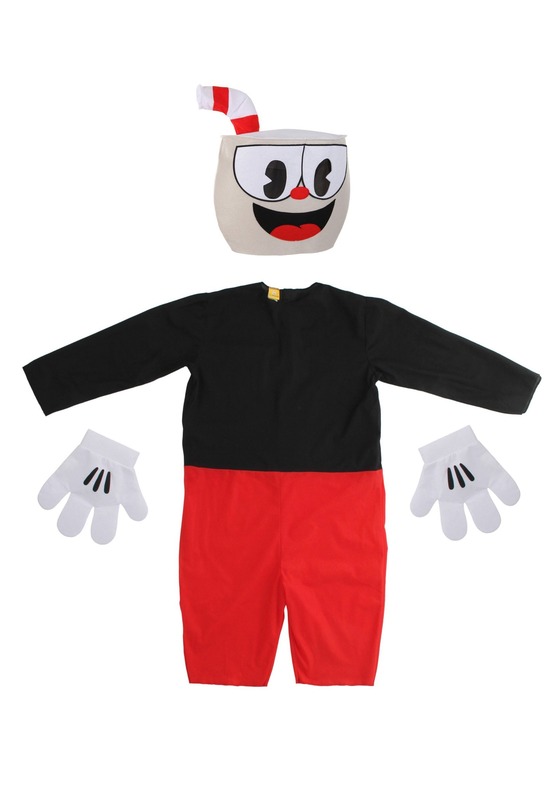 This adult Cuphead costume faithfully recreates the look from the video game. It comes with a black and red jumpsuit that looks like a long-sleeved shirt and a pair of red shorts. The white gloves look like a pair of cartoony gloves, straight from the golden age of animation. Of course, you couldn’t be Cuphead without the cup-shaped head! The included mask has his happy face printed onto the front of fit and it even has a red and white straw poking out of the top.